This episode also features an excerpt from my new podcast, The Life & Times of Video Games — a documentary-style show about video games and the video game industry, as they were in the past, and how they came to be the way they are today. You can find The Life & Times of Video Games on most podcast platforms. For a direct link to it on iTunes, go to lifeandtimes.games/itunes. Thanks to my awesome Patreon backers for covering my running costs and keeping the show alive. And special thanks to my $5+ supporters Anuar Lequerica, Nick, and James Weiner. If you'd like to support the show, you can make a donation via Patreon or PayPal. (Or email me at richard at ludiphilia dot net if you have some other thing you like to use for donations.) For PayPal, hit the orange Donate button at the bottom of the page at ludiphilia.net. 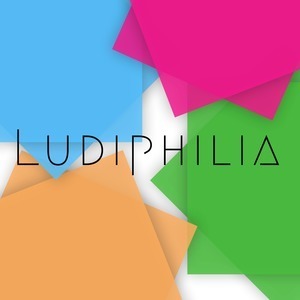 For Patreon, head to patreon.com/ludiphilia. You can also support the show by leaving a rating and review on iTunes and sharing it with other people.